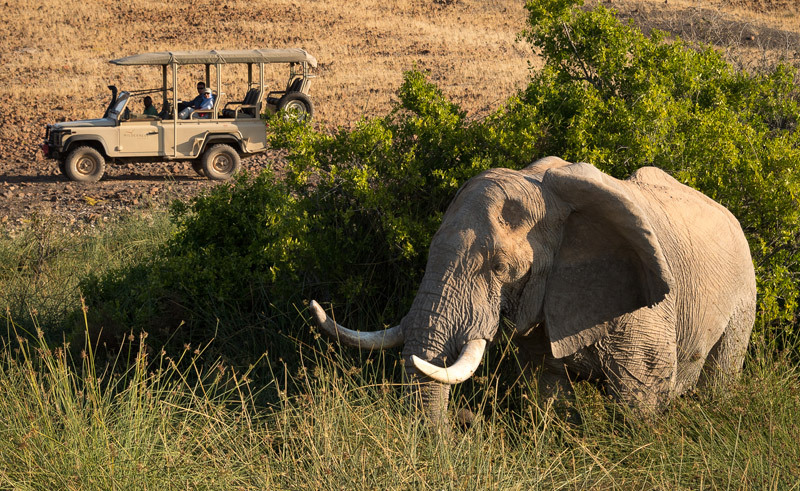 With 17 days to explore Namibia's natural wonders, wildlife and culture, this comprehensive itinerary connect all the highlights on a spectacular self-drive. 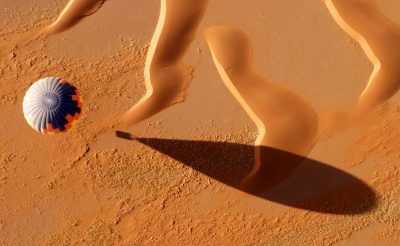 Two deserts, the world's second largest canyon, Etosha National Park, Luderitz, Swakopmund and Damaraland are all included. You'll cover a lot of ground but still have time to relax and savour every moment. Namibia is easier to drive than you might think. Not only are the roads in good condition, but you drive on the left-hand side and there's little traffic. 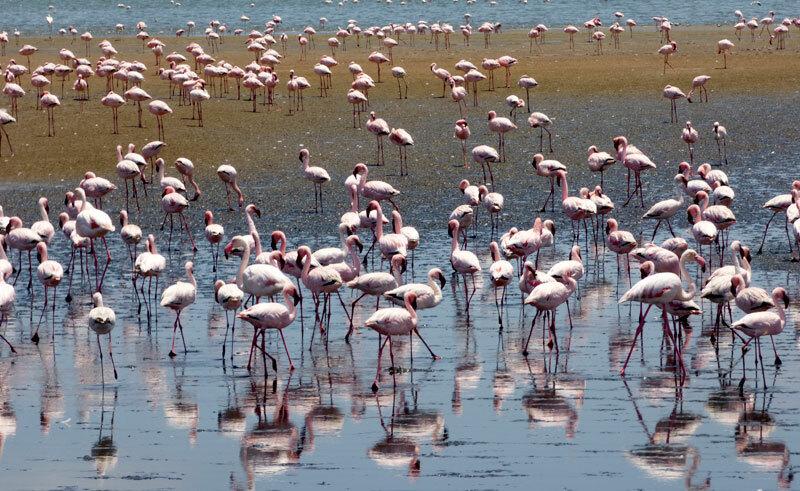 This 17-day itinerary traces a loop around the country, joining the dots between Namibia's must-see highlights, as well as some of the less-visited attractions in the south. 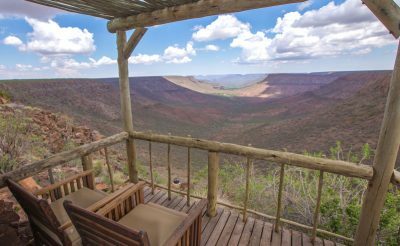 You'll be able to gaze into the Fish River Canyon from viewpoints along its rim. At Sossusvlei you can drive into the heart of the Namib Desert and walk to the top of some of the world's highest sand dunes. 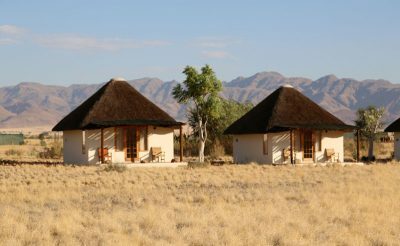 In Damaraland there are desert-adapted elephants and ancient rock art to track down, while Etosha National Park allows you to drive yourself on safari, staking out waterholes bustling with big game during the dry season. Namibia's coast offers a dramatic contrast. 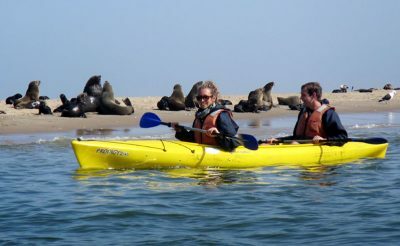 Luderitz and Swakopmund are fascinating colonial towns and gateways to adventures ranging from a tour of the abandoned diamond-mining town of Kolmanskop to a sea kayaking trip with fur seals in Walvis Bay. 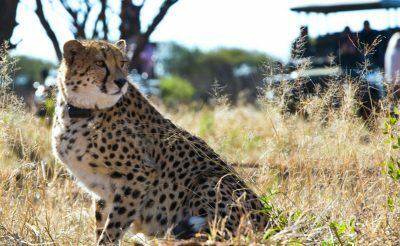 To round off this free-spirited, far-reaching self-drive, there's also an opportunity to visit the AfriCat Foundation at Okonjima. Arrive at Hosea Kutako (Windhoek International) Airport, where you will receive your rental vehicle. Once you have sorted out all the formalities for your vehicle, drive to Windhoek, the capital city of Namibia. 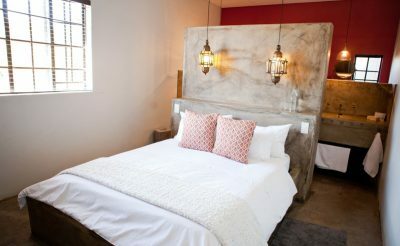 After checking-in at your accommodation, you can explore the city. Windhoek is a city of many contrasts; modern skyscrapers blend with historic buildings from the German colonial era. 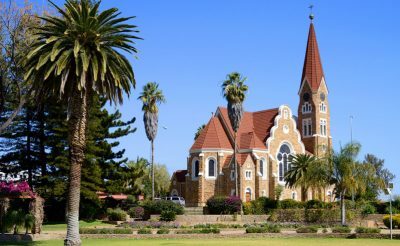 Windhoek attractions you may wish to explore this afternoon include the Christ Church (Christuskirche), the capital’s best-recognised landmark, the National Museum of Namibia which houses an excellent display on Namibia’s independence and Katutura, a former apartheid-era black township. Windhoek has a selection of restaurants for you to dine at this evening. Joe’s Beerhouse is a Windhoek institution. 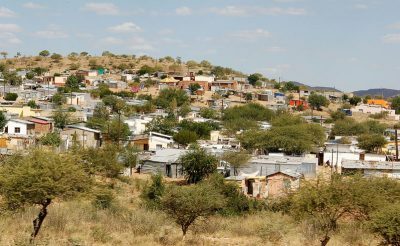 After breakfast depart Windhoek and drive via Rehoboth, the centre of Namibia's Baster community into the red dunes of the Kalahari Desert. The Kalahari is not a true desert as it receives more rain than a true desert should. 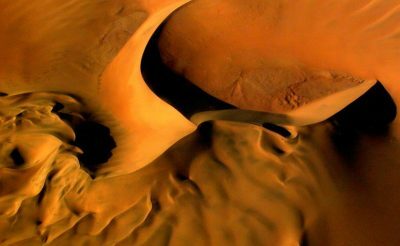 It is technically categorised as a fossil desert, meaning that the dunes are usually greener than the Namib Desert and at the start of the year can be covered in flowers. The best known of the Kalahari's inhabitants are the San Bushmen, a nomadic hunter-gatherer tribe that have inhabited Southern Africa for at least 20,000 years. The Kalahari is a great destination for birders and here you may see raptors including the martial eagle and lappet-faced vulture. Other wildlife in this area includes giraffe, zebra and meerkat. A full day's journey takes you south through the desert-dominated landscapes to a picturesque quiver tree forest. This prehistoric tree reaches skyward with graphically forked branches making them rewarding subjects to photograph. 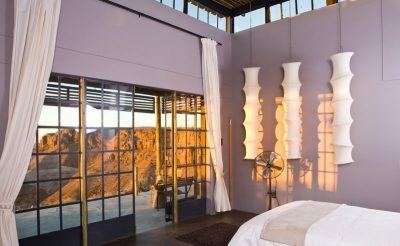 Finally, you will arrive at Fish River Canyon where you will spend the next 2 nights. 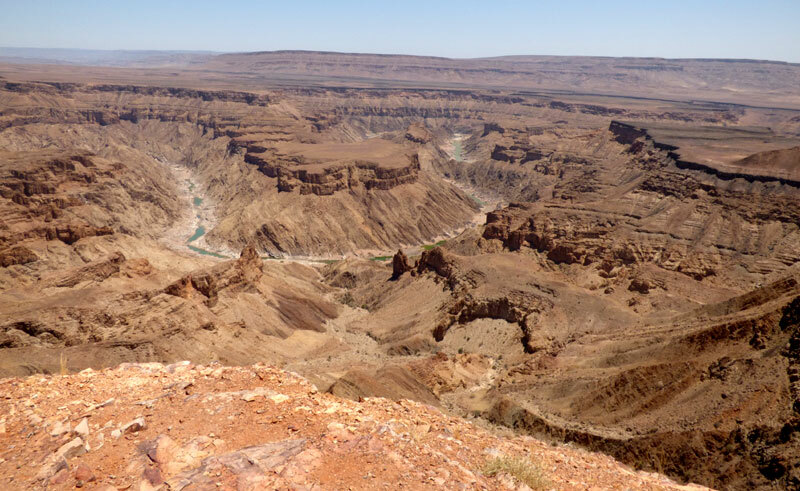 The impressive Fish River Canyon is the biggest attraction in southern Namibia and arguably the country’s most spectacular geological phenomenon. At 27km wide, 550m deep in places and 160km long, it is reputed to be the second largest canyon in the world after the Grand Canyon in the USA. However, it attracts far fewer tourists meaning you can often experience complete solitude here. The canyon, which takes its name from the 650km long Fish River, is over 500 million years old, with part of the strata formed as far back as 650 million years ago. You will have one free day to explore; there are several different options including scenic drives or hikes in the canyon or along the rim. 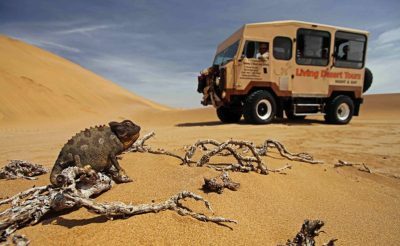 The next leg of the journey takes you via the small historic village of Aus and through the vast barren expanse of the Prohibited Diamond Area, to Lüderitz. Aus is known for its spectacular scenery and wild horses. The wild horses roam the sparsely vegetated plains of the Namib Desert in small groups. Nobody is sure about how they originally came to be there, but over time they have adapted to survive in the harsh desert environment. Keep your eyes peeled for them as you drive past. 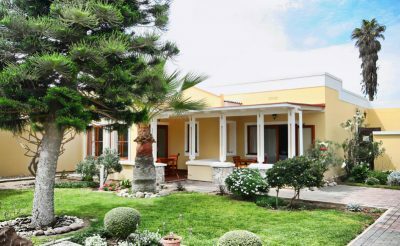 The German colonial town of Lüderitz lies dramatically sandwiched between the barren Namib Desert and the windswept South Atlantic Coast. Unchanged for many years, the town is full of German art nouveau architecture reminiscent of a Bavarian dorfchen (small village), with churches, bakeries and cafes. 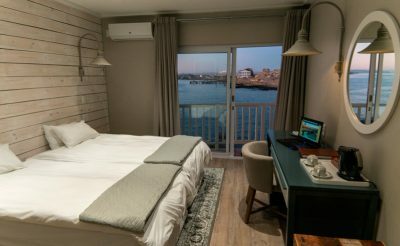 Lüderitz is well-known for its fresh crayfish and oysters, even hosting an annual crayfish festival, as well as for the abundant wildlife of the Lüderitz Peninsula which includes flamingo and penguin colonies. 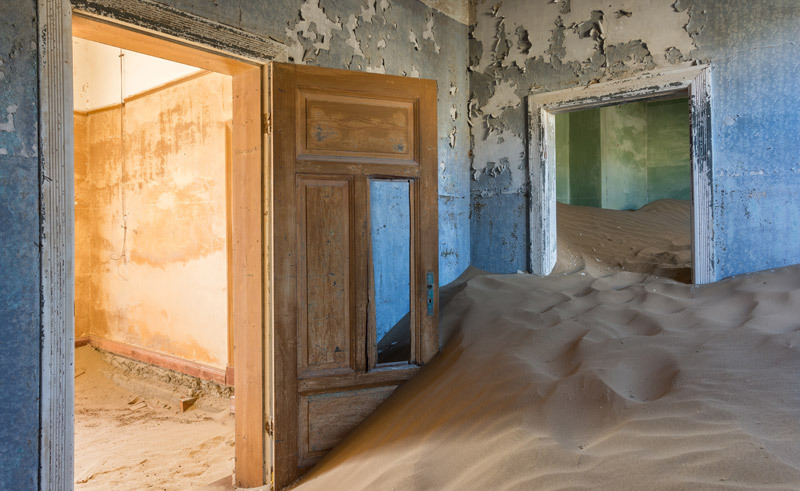 The most popular excursion from Lüderitz is the ghost town of Kolmanskop. In the early 1900s, Kolmanskop was a thriving town, home to hundreds of diamond workers and boasted a theatre, casino and ballroom. However, the slump in diamond sales after World War I and the discovery of a richer diamond area further south at Oranjemund meant that the inhabitants started to leave, resulting in Kolmanskop being completely deserted by 1956. Uninhabited since then, the buildings have been overtaken by the shifting desert sands, lying knee deep in places and resulting in an eerie ghost town that is a photographer’s paradise. 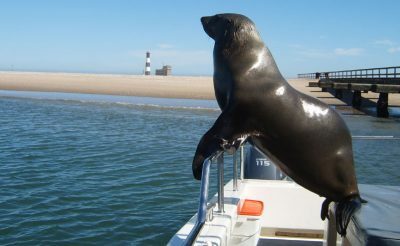 Other activity options include a catamaran tour searching for marine wildlife such as African penguins and flamingos. 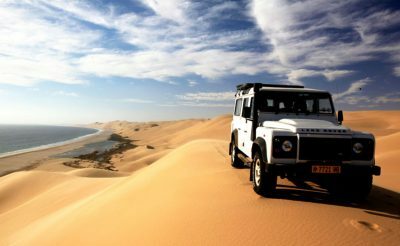 Today you travel through some of Namibia's most spectacular scenery. Vast expanses of yellow savannah are dotted with bushes and solitary camel thorn trees. Distant mountain ranges take on different nuances of purple and blue as the day progresses. En route you can visit Duwisib Castle, which was built by Baron von Wolff for his American wife Jayta in 1909; all the furnishings and paintings were imported from Germany. 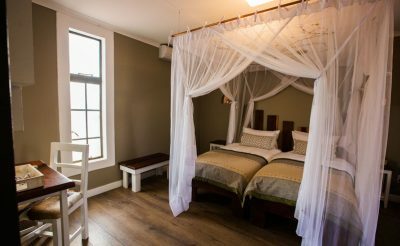 Your destination today is a lodge in the Sossusvlei area, from where you will have excellent opportunities to explore the oldest desert in the world. 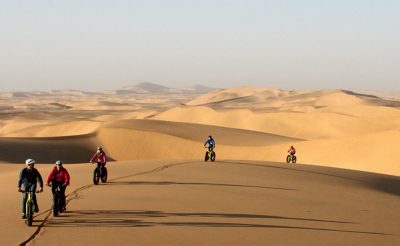 The Namib Desert is commonly referred to as the world’s oldest desert, dating back at least 55 million years. 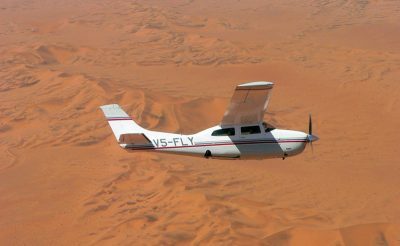 The desert is a large expanse of moving gravel plains and dunes of all shapes and sizes. Part of the desert, towards the centre incorporates the Namib-Naukluft National Park, which is the largest park in Namibia (50,000 square kilometres) and the third largest in Africa. The Namib Desert is largely unpopulated so there is no light pollution making it one of the best places in the world to stargaze. In 2013 a large part of the desert became a UNESCO World Heritage Site under the name of ‘Namib Sand Sea’. Searching for desert adapted elephants is a highlight of a trip to Namibia. Namibia is one of only two countries in the world where you can find desert adapted elephants (the other is Mali). They are not categorised as a separate species but they are special because they have evolved to thrive in the dry, semi-desert environment by having a smaller body mass with proportionally longer legs and seemingly larger feet than other elephants. Their physical attributes allow them to cross miles of sand dunes to reach food and water. Nobody knows how many desert dwelling elephants there are in Namibia, but estimates are between 100 and 600. This afternoon, you may wish to visit the rock art at Twyfelfontein. 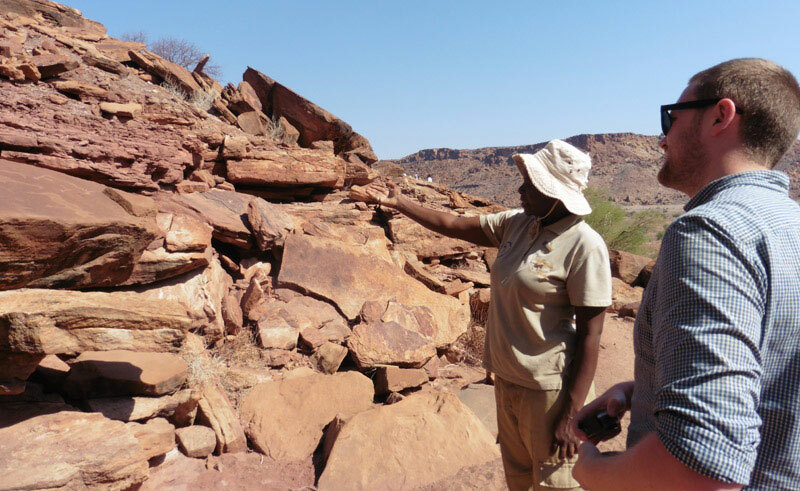 Namibia’s first UNESCO World Heritage Site, Twyfelfontein features 2,500 examples of bushman paintings and engravings dating back 6,000 years. The rock engravings are found on a number of smooth rock surfaces and most of them depict animals and their tracks. 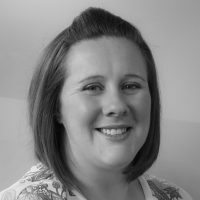 Explore the site with a knowledgeable guide. Today you will enter Etosha National Park through Andersson’s Gate and drive searching for wildlife. Etosha is dominated by a huge mineral pan, which covers a quarter of the park and was once a lake the size of Holland. Surrounding the pan is a variety of grass and woodlands amongst which live a wonderful variety of animals, birds, insects and reptiles. Etosha’s highlight is its waterholes; there are dozens of them, some natural while others are artificially fed from boreholes. During the dry season, staking out a position at a waterhole viewpoint is a rewarding way to watch game without moving from one spot. 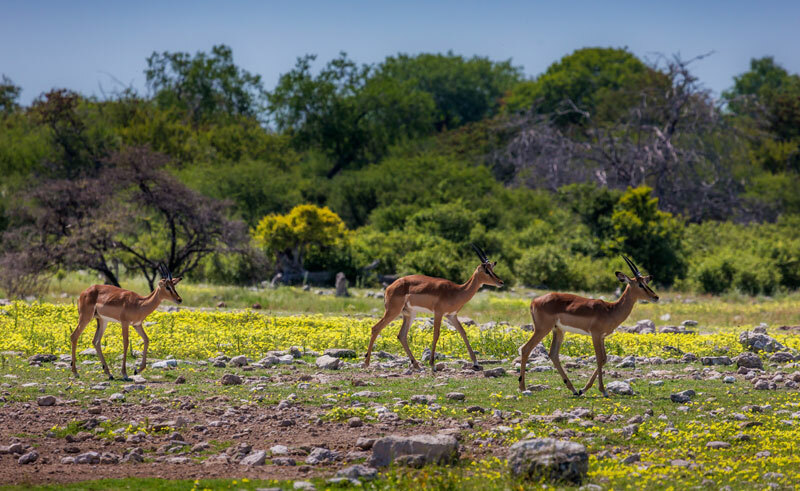 The most numerous antelope species in Etosha is springbok, which can sometimes be seen herding in their thousands. Other common herbivores are giraffe, zebra, eland, wildebeest, kudu and oryx. Black rhinos are more rare but still regularly sighted. Herds of fifty elephants are not unusual and often walk right down the middle of the road giving people in cars an incredibly close and thrilling encounter. When it comes to predators, lion, of which there are thought to be over 1000 inside the reserve, are the most visible. For birders there is a large variety of birds including ground hornbill, lilac-breasted roller, eagles and vultures. 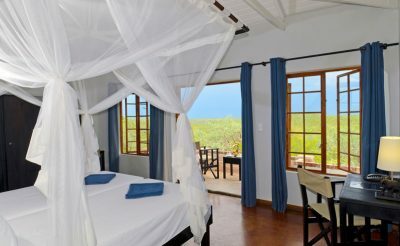 Exit the park before sunset at the Von Lindequist Gate in the east and spend the night on the Onguma Private Reserve where you can watch animals congregating at the waterhole located just in front of camp as you enjoy a sundowner drink. The following day, return to Etosha to search for more wildlife. 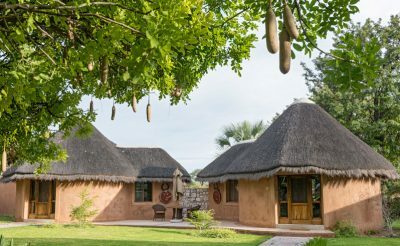 Leave Etosha behind and head south to Otjiwarongo - the perfect location from which to plan an optional visit to the AfriCat Foundation. This non-profit organisation was founded in the early 1990s with the aim of securing the long-term survival of Namibia’s predators in their natural habitat. 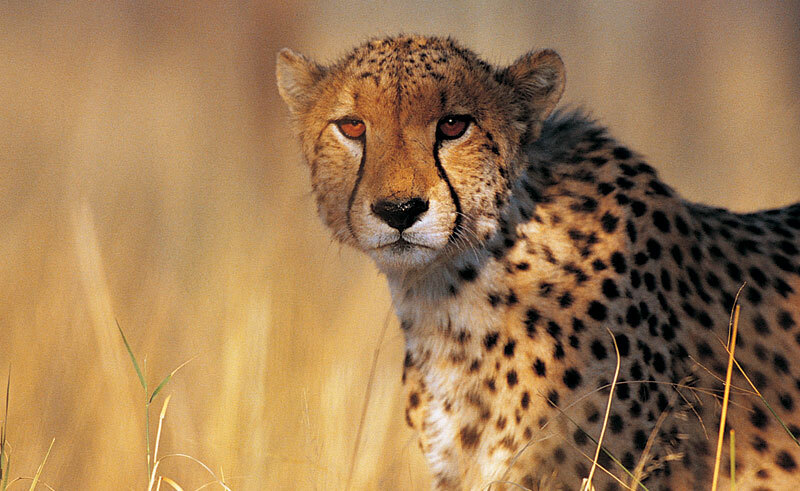 AfriCat has saved more than 1,000 predators since its inception and over 80 percent of them have been released back into the wild. The organisation is best known for its cheetah conservation programme, but it also works to protect leopards, lions, hyenas and wild dogs. On a day visit (optional), you can view some of the animals in its Carnivore Care Centre. 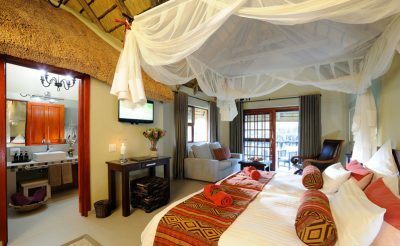 Highly recommended is upgrading to an overnight stay at either Okonjima Plains or Bush Camp, which will also enable you to join game drives tracking the animals that are being rehabilitated in the 200 square kilometre Okonjima Nature Reserve. As enthusiastic supporters of the AfriCat Foundation, we are proud to have adopted Dune, one of its cheetahs. Complete your self-drive by heading back to Windhoek Airport where your holiday ends.